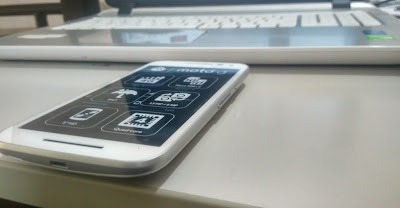 Home / Blog / Gadget / Moto G / Motorola / Review / smartphone / specifications / Device I Use : "Moto G 3rd Gen "
Most of people I meet, use to say that I am somehow bit biased toward Motorola products, maybe they are right as I own most of devices that are marked as Motorola, yesterday I found some old pic of Moto G3 and decided to give in depth review and specification. The first Motorola Moto G hit a golden formula. Low price, a nice screen and near-perfect performance made it the best affordable phone ever back in 2013. At that time we hadn’t seen a phone that good sell that cheap. Motorola hasn’t changed things up too much in this third-generation edition. However, it has gained a few pounds now that it can afford to be a little less aggressive on the price, since ‘Moto G’ has become a widely recognized name to trust. At ₹12,999 for the 16GB, 2GB RAM version we’re looking at, the Moto G is more a good deal than the ‘pick up your jaw from the floor’ bargain the first-gen model came across as. However, by radically improving the camera and keeping performance tip-top, it’s still better than the affordable options you can get from rivals such as Sony and Samsung. For all the hardware improvements, the Moto G still comes across as a cheaper phone, not a super high-end one. 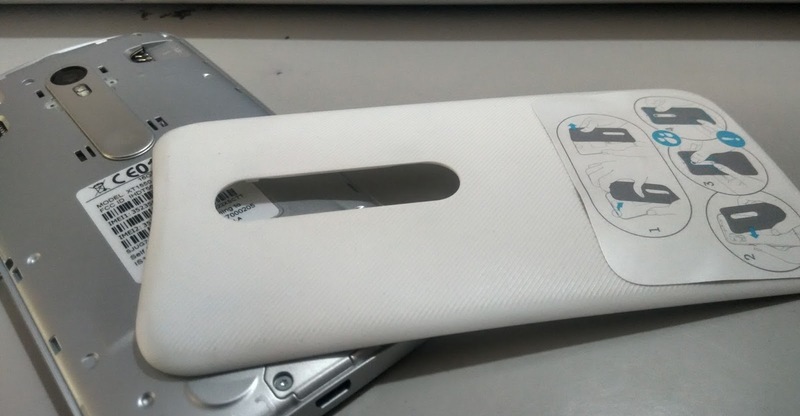 The back is plastic, with a ridged embossed finish that doesn’t seem remotely flash. And at 11.6mm thick it’s pretty chunky. 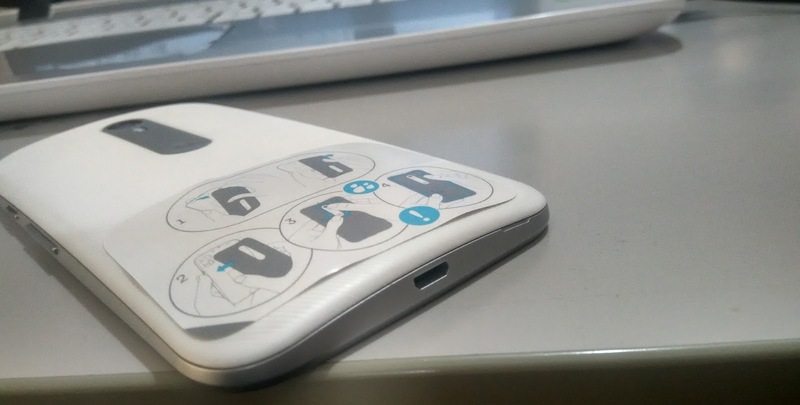 Ergonomic curves mean it still feels good, but is fairly large among 5-inch phones. One of the real spotlight improvements for 2015 is the Moto G’s waterproofing. Little rubber seals on the battery cover keep water out of the SIM and microSD memory card slots, and the headphone/charge sockets are specially treated so they don’t mind being dunked in water. The exact resistance level is called IPX7, meaning it can be submerged in water for 30 mins. It’s certainly not going to suddenly behave funny after getting caught in a torrential downpour. One potential issue is that one of the clips on the back cover is dead easy to miss: just make sure you get the lot. There has not been all that much progress on the screen, though. 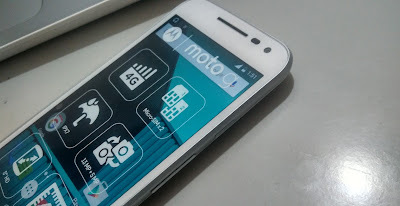 The Moto G has a 5in 720p IPS LCD display, just like the last version’s. We’re in the same territory as some of the cheaper 1080p mobiles, such as the Honor 6 and EE Harrier. As with every Moto G, the screen is still pretty charming, though. It’s sharp enough, has natural-looking colours, decent outdoors visibility and an oleophobic coating. This makes sure the screen doesn’t become a smudgy mess as soon as you get your fingers on it. The top layer is Gorilla Glass too. A few times during testing I managed to send the Moto G flying onto concrete, but it’s yet to pick up any significant body damage or screen scratches. It’s pretty forgiving. Backlight uniformity in our Moto G isn’t perfect, with part of the screen appearing ever-so-slightly dimmer than the rest. But these little screen aberrations are pretty common, and something we’ve seen in previous Moto Gs. Back in 2013, the Moto G set a new standard in display quality for cheaper phones. But this new one doesn't take things any further. The colour tone skews a little less warm, making the display appear brighter, but this version and the last play in the same quality league. It’s a bit of a shame, but then it’s actually what the Moto G series is about. The idea is to get you a certain grade of experience that’s not light years away from phones twice the price. And instead of super-charging the screen it has fixed some of its weak spots, like the camera. As we’ll see in a bit. Software-wise, the third Moto G is business as usual. You get Android 5.0 Lollipop in its standard form, with just a pair of extra Motorola apps added to the usual Google collection. That’s even fewer than before. Motorola Migrate helps you bring over content from your old phone to your Moto G, and the Moto app compiles the few extra features Motorola has bunged-in. These include being able to silence your phone at certain times, perfect for making sure the little guy doesn’t wake you up at 12:30am while you’re trying to sleep, and Moto Display. This lets the Moto G turn its screen on when it gets notifications, showing just the time and a simple white icon that tells you the sort of notification it is. It’s pretty neat, even if it works better with an OLED screen, which can use little battery when just using a bit of the screen. Still, it doesn’t ruin the Moto G’s battery life, which is solid if not spectacular. The phone has a 2470mAh battery, which is about what we’d expect from a phone with a 5in screen. It’ll generally drain down to about 15-30 per cent by bed time without using any stamina-saving measures, offering performance roughly comparable with the other Moto Gs. Bar the pre-4G second-gen model, which has a fairly modest 2070mAh cell powering its 5in screen and therefore lasts less long. Expecting two days’ use is a bit ambitious here, but you may be able to get there by using the Battery Saver mode hidden in Settings. This cuts out background data, meaning it uses very little charge when you’re not actively using the phone. Battery life has never been a real shouting point of the Moto G series. It has been, and continues to be, simply respectable. I’m glad to report that performance is back on track too. Recently, we took a closer look at the last-generation Moto G and found that with the latest software it’s simply not fast anymore. It made me ask: has the Moto G jumped the shark? However, the 2GB RAM, 16GB storage version I’m currently using runs like a dream. There’s no creaky lag, transitions are super-smooth and while loading apps is slightly slower than it was with Android 4.4 KitKat, that’s true of every Lollipop phone. The only question is whether this performance is true for the cheaper 1GB, 8GB version we imagine many of you may be after. Especially since both phones support up to 32GB of MicroSD storage. The 1GB RAM Moto G will be kinder on your wallet than its 2GB RAM cousin. Whether it offers the same oomph for less is something we’ll look into as soon as possible. Fingers crossed it will, because this is at the root of why I fell for the original Moto G way back when. It was an affordable phone that, in day-to-day use, was just as snappy-feeling as a phone two or three times the price. That said, I have reason to worry the 1GB Moto G may feel annoyingly slow in parts: some of the other Moto Gs do with current software. The most impressive, most improved, part of the Moto G, though, is the camera. The original Moto G’s camera was pretty dreadful. The second-generation one was much better, but still one of the weakest parts of the design. This one is, shock horror, actually really quite good. It’s a 13-megapixel camera with a dual-LED flash, coupled with a 5-megapixel camera on the front. This is fast becoming a pretty common spec among cheaper phones, but the Moto G is comfortably the best budget 13-megapixel pick I’ve used to date. It’s a pure joy to shoot with, being fast, offering very solid dynamic range and a very good hit rate. It absolutely decimates the cameras of rivals like the HTC Desire 626 and Sony Xperia M4 Aqua, making them look flat-out rubbish. Where other budget cameras are prone to dull looking shots, lens distortion when dealing with strong light sources and purply washes in tricky lighting, the Moto G copes with everything like a little star. It feels like a fairly high-end camera in a lower-end phone, and is a massive upgrade over all previous Moto G cameras. In good lighting you get punchy, faithful colours, excellent contrast, fairly good metering and plenty of detail. We even like the phone’s processing, which has a fairly light touch compared with the vast majority of phones at this price. It’s not just about image quality, either. The Moto G is fairly fast to shoot, avoiding obvious shutter lag that makes lesser phone cameras a pain to use. The camera app is improved too. All Moto Gs use a custom Motorola camera app, one I’ve had a mixed opinion of to date. It has a slick look and UI, but its rotary dial menu system can feel fiddly in the heat of the moment. However, I’m taken with the latest addition: an exposure dial that sits right by the focus reticule. It’s dead useful because when you choose a subject rather than letting the phone do the job itself, the Moto G also reverts to spot metering, using the light level of the subject to dictate exposure level. I found this often leads to overexposure of the scene, which then can be fixed with this little exposure dial with a quick intuitive gesture. It could be a fiddly mess, but isn’t. Of course, it might be adding a bit too much manual control for some, robbing touch focusing of some of its simplicity. The Moto G camera isn’t quite perfect, either. Its low-light skills are nothing too special, with only mild compensation for dark scenes, and obvious desaturation of reds when you’re dealing with indoors lighting. There is a low-light mode that alters the character of the noise reduction a bit and helps out with white balance, but its effects are fairly minor and feel like they should really be applied automatically. You’ll need to keep your hands still to ensure sharp low-light photos too, as the camera uses shutter speeds as slow as 1/14 of a second. That’s pretty long for a phone without OIS. Like the previous Moto Gs, the HDR mode is a bit heavy-handed too. I’ve appreciated this in the older models as their cameras often needed the help, unable to cope with certain situations without it. But now the Moto G’s camera is flat-out good, a little more subtlety would be appreciated. The HDR Auto mode is pretty solid, though, applying dynamic range boosting when needed. Stick to this and you’re all-but guaranteed good shots. With a few tweaks and optical image stabilisation I’d love the Moto G camera even more, but even this middling low-light performance remains good, certainly better than average, at this level. It’s able to retain much more detail in poor lighting than most budget phones. Motorola has put in excellent work here, earning not only a ‘most improved’ badge, but quite possibly a ‘best-in-class’ one too. 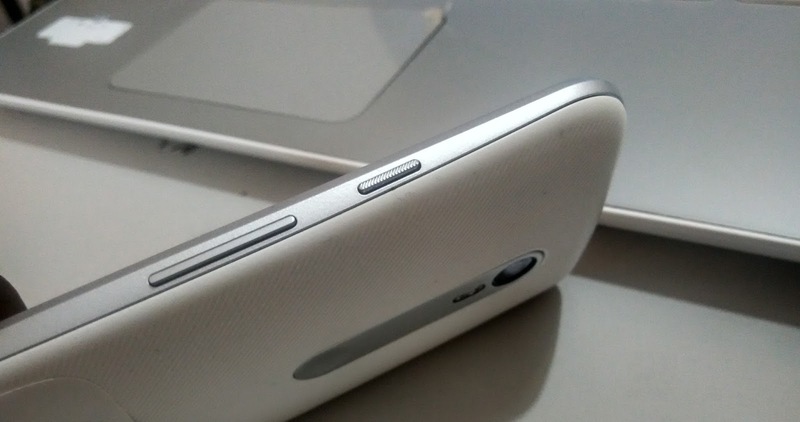 The Moto G’s speakers are better this time around too, and they look a lot subtler. The bottom speaker of the front-facing pair deals with audio, the top one is for calls. Overall, the new Moto G sounds a bit louder and a good chunk warmer compared to its predecessor. Don’t go thinking it’ll be quite as good as the HTC One M8S’s BoomSound speakers, mind. While about as loud, the Moto G’s speakers lack the refinement of the best. They remain a little thin-sounding. But for the price I’m more than happy. What more do you need? The Moto G third-gen model takes everything we loved about the previous Moto Gs, side-steps the performance issues we’ve seen recently from the old guard and adds in a great camera to finish off the package. Right now, we can only recommend the new 2GB RAM Moto G, because we simply haven’t been able to test its lower-end alternative yet. If you’re not desperate to spend on a new Moto G, then it’s probably worth holding off for our verdict on its cheaper edition with 1GB RAM. Especially, when prices for other smartphones are now dropping like no tomorrow.